New korker bows to match the World Peace shirts! So cute! 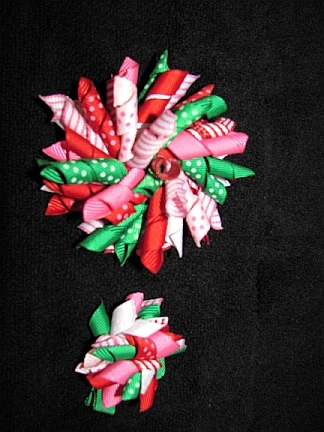 Bows are made of grosgrain ribbon with heat-sealed ends on lined alligator clips. Large measure approximately 3 inches across, small measures approximately 1 1/2 inches across. Free shipping when ordered with matching shirts.